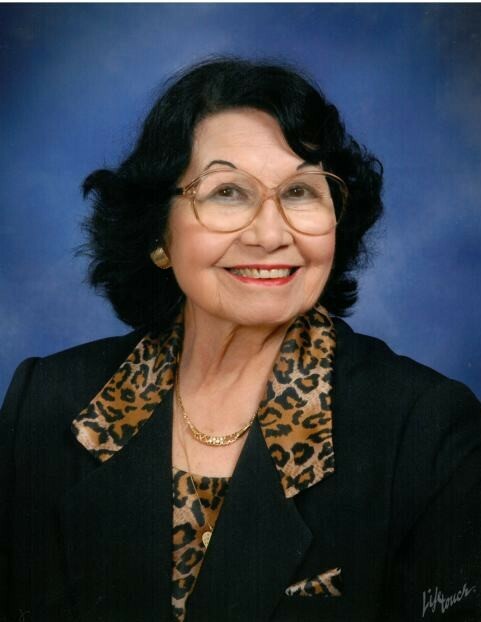 Marie DeCampo, 97, of Morehead City, died Tuesday, March 26, 2019 at Olde Knox Commons, Huntersville, NC. A Funeral Mass will be at 11 a.m. Monday, April 1, 2019 at St. Egbert Catholic Church in Morehead City with pastor, the Rev. Thomas R. Davis, officiating. Burial will follow at Greenwood Cemetery. The family will receive friends at Brooks Funeral Home on Sunday, March 31, 2019 from 5:00 PM to 7:00 PM. Marie was born in Partinico, Sicily to Damiano and Antonina (D'Orio) LoIacono on August 20, 1921. She immigrated to the United States in 1949 and settled in Washington DC where she met her future husband, Salvatore DeCampo. They were married January 10, 1954. She proudly received her United States citizenship on September 1, 1954. Marie made her living as a seamstress for various department stores in the Washington DC area for 30 years. After retirement, she and Salvatore relocated to Morehead City. Marie is survived by her son Joseph D. DeCampo and wife, Betsy of Morehead City; three grandsons, Daniel DeCampo of Yokuska, Japan, Luke DeCampo of Durham, and Timothy DeCampo of Durham; sister-in-law Enza LoIacono, niece Antonina (her husband Nicola and daughter Chiara) LoIacono, and nephew Dino LoIacono of Partinico, Sicily. She is preceded in death by her parents; 9 siblings; and her loving husband Salvatore.